The Transmit Security Platform provides a solution for managing identity across applications while maintaining security and usability. As criminal threats evolve, online authentication has become reactive and less effective. Many organizations have taken on multiple point solutions to try to stay ahead, deploying new authenticators, risk engines, and fraud tools. In the process, the customer experience has suffered. And with an increasingly complex environment, many enterprises struggle with the ability to rapidly innovate to provide customers with an omni-channel experience that enables them to stay ahead of emerging threats. Transmit Security’s founders created Trusteer (now IBM Security) and Imperva (IMPV on NYSE). The company’s research and development team is made up of former members of Unit 8200, the elite Israeli Intelligence Corps. 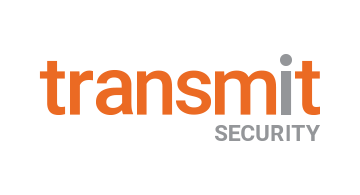 Transmit Security is self-funded, and based in Boston and Tel-Aviv. For more information visit http://www.transmitsecurity.com or follow us on Twitter @TransmitSec.